I was going through my fridge last night and wondering what I was going to cook up for dinner. I really wasn't in the mood for a BIG meal; however my taste buds were all over the place and in need of some satisfaction. I wanted something a little sweet, salty, spicy, and tangy. What would it be? I continued to look. There they were. The answer to my craving hiding in the very back of my fridge. Two medium size SWEET POTATOES. I was sold. Baked sweet potatoes it was. I decided to bake the sweet potatoes with a little olive oil, Kosher salt, and cayenne pepper and topped them with blue cheese crumbles and cilantro. Sweet, check. Salty, check. Spicy, check. Tangy, check. And a little bit of green, check. I was HAPPY and satisfied, CHECK. Combine all spicy blue cheese dip ingredients into a small bowl. Mix. Serve spicy blue cheese dip in a small ramekin. Pill and slice sweet potatoes in to 314 to 1/2 inch rounds. 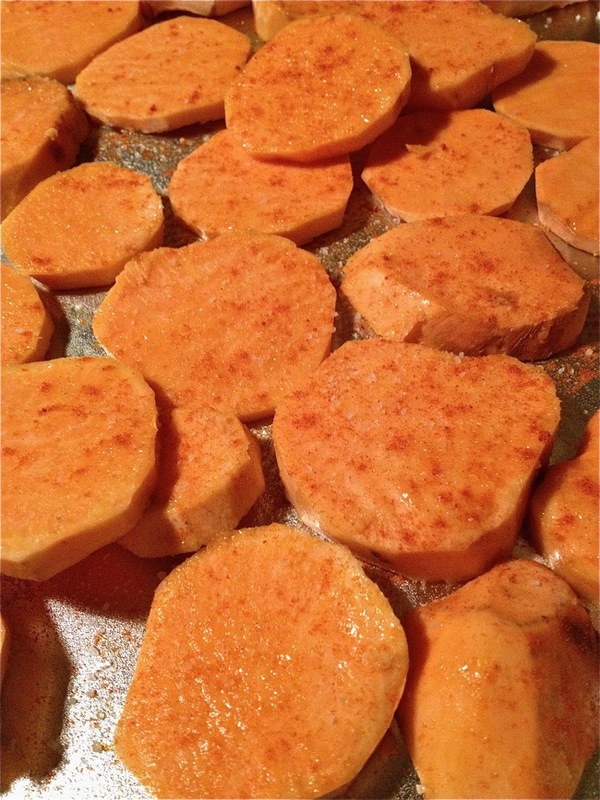 Place sliced sweet potato rounds on a baking sheet. Toss sliced sweet potatoes with olive oil, salt, and cayenne pepper. Bake for 30 to 40 minutes, or until lightly browned. Toss once. For extra crispy, broil for an additional 5 minutes. 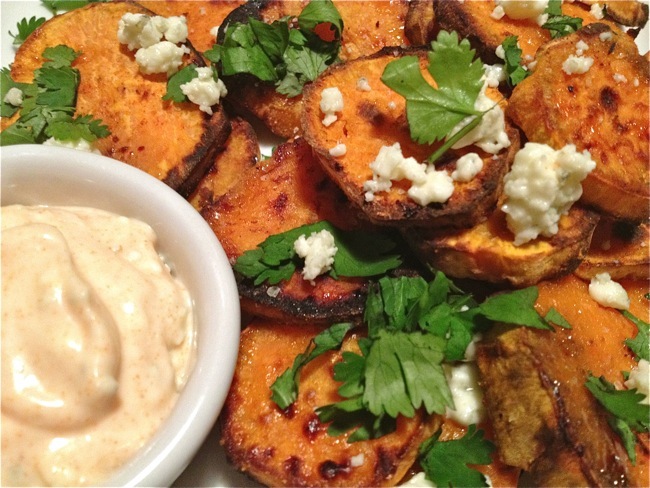 Top baked sweet potato rounds with blue cheese crumbles and cilantro. It is very true, people must learn how to learn before they can learn. lol i know it sounds funny but its very true.